In this blog post we will keep you updated about the renovation progress in our ‘Chalet Alice Velut’ apartments! 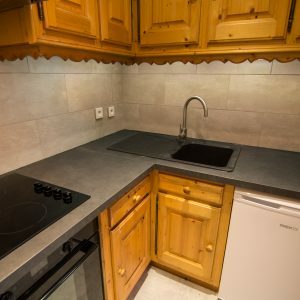 As I am sure you know already ‘Self Catered – Saint Martin’ has taken on the management of the beautiful Alpine ‘Chalet Alice Velut’ which houses 5 self-contained chalet apartments. 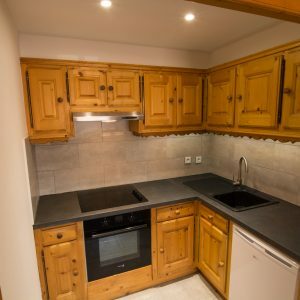 Situated in the heart centre of St Martin de Belleville these apartments are ideal for a family skiing holiday in the 3 Valleys! During the summer months Richie and I are here in St Martin to update the apartments and make sure they are ready for another fantastic winter season! 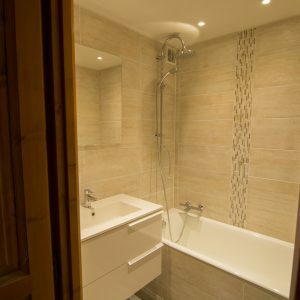 Chalet Azallee, Iris and Marguerite will all be renovated with completely new bathrooms & toilets as well as a modernised kitchen and new furniture! 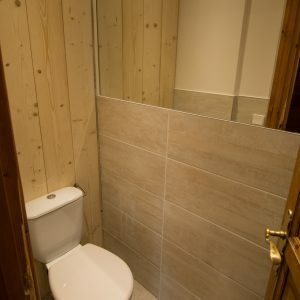 Chalet Violette has already had some renovations done to it’s bathroom last year as well as the kitchen this summer (photos will follow soon!) whilst Chalet Perce Neige will most likely receive a lot of new furniture! It’s all very exciting news! 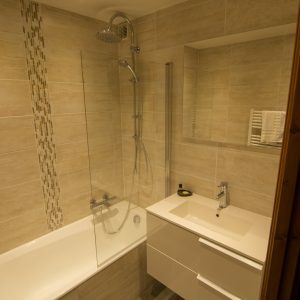 Brand new bathroom in the apartment ‘Iris’. Modernised kitchen, new this season.